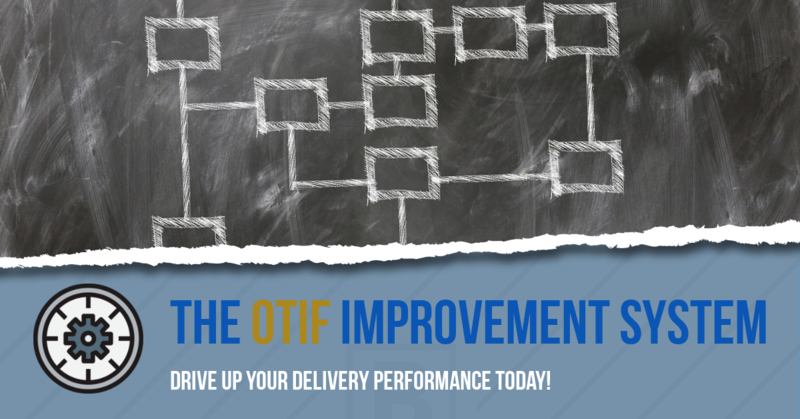 Do you want to improve your OTIF (On Time in Full) delivery performance without the need for ‘blood, sweat and tears’? Ready to use system (including templates, examples and worksheets). Tried and tested approach to improving on time delivery. Email programme to help you get the most out of the system. Over the years I have helped numerous companies to improve their on-time delivery performance as part of my consulting services. These companies used a combination of the tools, strategies and methods that I share in this system. This system is designed to be used ‘out of the box’ to give you a quick start to achieve results if you are under pressure right now. It also includes guidance to help you fine tune the system for your business and implement a management system to consistently achieve high levels of OTIF. Eliminating the ‘blood, sweat and tears’ of juggling / ducking and diving to achieve good OTIF levels. Winning additional business from being the best supplier in a sector. Realising higher levels of productivity and capacity from eliminating the chaos that can cripple your teams. Improving profit levels from reducing the lag, rework, overtime and confusion in the business. Having more fun at work! These are the same objectives I have for The OTIF Improvement System, this is what I expect you to experience if you buy and implement the tools I share within this system. What results are possible with this system? One of my clients was at the bottom of their supply chain league table and at risk of being ‘exited’. This would mean closure for the business but through the rigorous application of this system they became the top supplier within 3 months and guaranteed more business. Another client was staggered at the amount of extra business they won from being a ‘reliable supplier’. With the changes my system brought them they were able to increase their output by 150% without the need for any additional staff through the enhanced productivity the system naturally releases. I personally used these tools (as I started to develop my system) as a Production Manager. Our OTIF performance was around 22%and we had a lead time through the business of just under 20 weeks. Within 6 months we were averaging 98% OTIF and our lead time had dropped to just over 3 weeks. We became the global #1 in our group for performance and profitability. I should add that most of my clients don’t use all of the parts of my system either; you can witness great results by just applying a handful of the elements. So, what’s included in this system? A 44 page PDF instruction guide that covers the main system elements and a range of continuous improvement opportunities. 4 ready to use (short) management meeting agendas – the backbone of this system. 8 worksheets to help you refine and develop this system for your business. 7 worked examples so you can understand how this system works. 1 improvement action plan format to help you capture and manage this period of change through your business. 1 PowerPoint slide deck to help you explain the system to your team as part of your implementation. A 30 day email coaching programme, to help you get the most out of this system. Based on experience, this should comfortably help you achieve your OTIF improvement objectives, even if you are incredibly pushed for time. The email coaching course is designed to help you implement the ideas by showing you some shortcuts through the system. When you start to see improvements happening your day-to-day working life should improve, allowing you to fully implement the rest of the system. If you are wondering what my credentials are to create this system,then let me assure you that I have been through this particular journey many times. From my early days in Production Management, through to leading a complete business transformation as an Operations Manager, or with my clients as a Consultant. Customer complaints based around poor delivery performance. Project deadlines that don’t look like they can be achieved. Too much management time being required to get products, or services, delivered. Reduced profit margins due to excessive overtime/ rework / inefficient management systems. The OTIF Improvement System is designed to remedy all of these above points; it is a system based on experience and real-world results. If you want to find out more about me, my credentials and my experience then please read my bio here. To gain access to The OTIF Improvement System just click on the button below and you can be applying the ideas to your business in just a few minutes from now. If you aren’t sure if this course will be a good fit for your business, then rest assured that I offer a 30 day money back guarantee. If you don’t think that this system is going to help your business improve its delivery performance and improve your business’ overall results then just drop me a line and I will arrange a full refund for you. I hope that you take advantage of this offer and look forward to hearing about your results! Author of Business Process Re-Engineering and creator of Making It Happen and The OTIF Improvement System.